This is located at 26845 Hwy 5, Gravois Mills, MO 65037. It is a two story building with three engine bays up stairs and 4 down stairs. The helicopter pad is located directly behind the house. 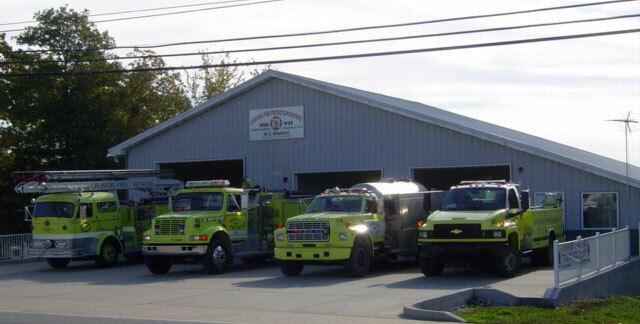 This firehouse houses two engines, two tankers, a brush truck, a ladder, and a rescue truck. 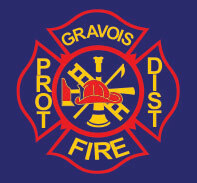 This firehouse is located at 29535 Silver Moon Resort Drive, Gravois Mills, MO 65037 off of P Road. This is a single story building with two engine bays and a small shed. The helicopter pad is located in the front yard to the north side of the house. This firehouse has an engine and a tanker. 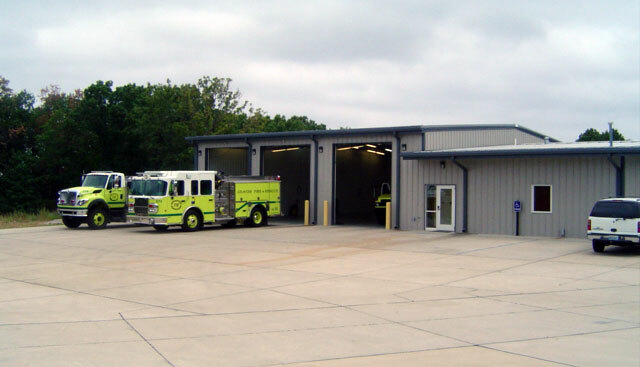 This firehouse is located at 33908 Wilson’s Bend Road, Gravois Mills, MO 65037 off Cup Tree Road (135-3). This is a two story building with two engine bays upstairs and two double deep (allowing four trucks) engine bays on the lower level. This firehouse houses most of the food unit operations. The helicopter pad is located in the front of the firehouse. This firehouse has an engine, two tankers, a service unit, a staff vehicle, and the food unit van. 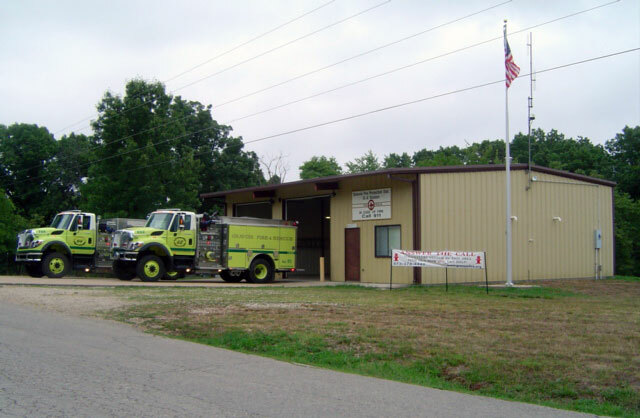 This firehouse is located at 29710 Camellia Road, Gravois Mills, MO 65037 off of Proctor Road near Mallard Bay. This is a single story building with two engine bays. The helicopter pad is located east of the station in the open area between station and Proctor. This firehouse has an engine and a tanker. 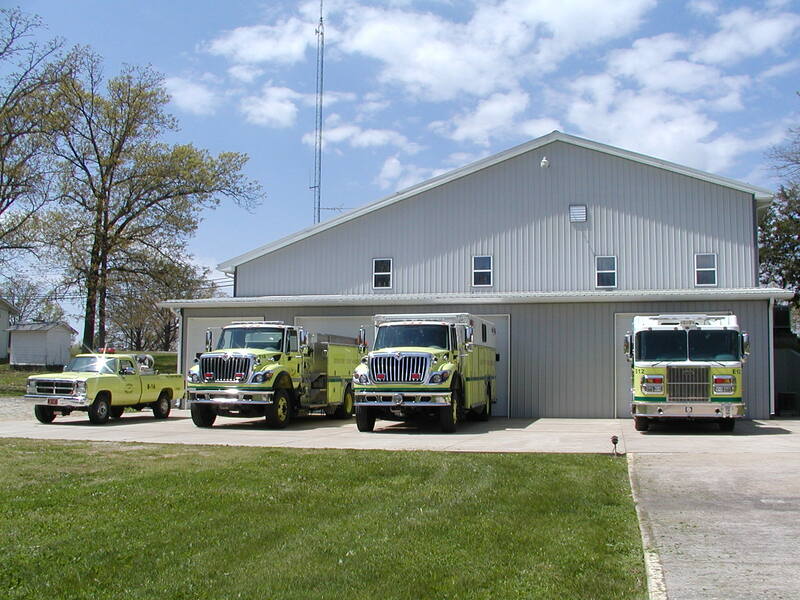 This firehouse is located at 215 Hwy O, Laurie, MO 65038 and is staffed 24 hours a day. This building is a single story building with seven engine bays (double deep). On one side of the engine bays is the district offices and training room. On the other side of the engine bay is the living quarters for the nine career firefighters, including a kitchen, day room, bathrooms, and bedrooms. The helicopter pad for this firehouse is at the old firehouse 5 on Firehouse Lane. 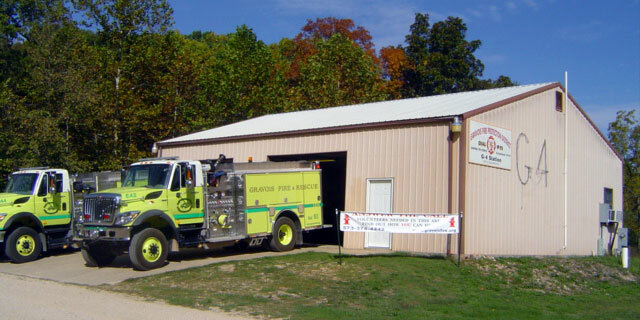 This firehouse has three engines, two tankers, a rescue, a ladder, a command bus, and a couple of staff vehicles. Bus 56: Command bus, has computer, radios, refrigerator, and bathroom. 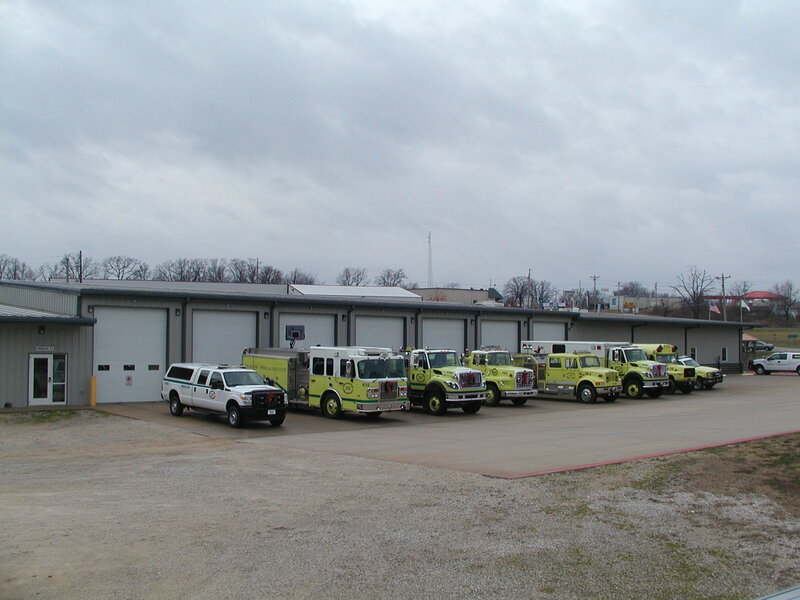 This firehouse is located at Great Lakes View Dr., Gravois Mills, MO 65037. This is a single story building with two engine bays. The helicopter pad is located east of the station in the open area behind the station. This firehouse has an engine and a tanker. 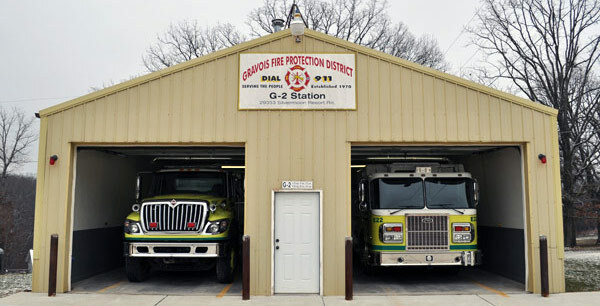 This firehouse is located at 17056 Hwy O, Gravois Mills, MO 65037. This is a single story building with three engine bays (double deep). This station also has a living quarters including, kitchen, full bathrooms, day room, and bedrooms. The old station houses our training facility. This includes different props used by the firefighters to practice and drill to better our skills. The helicopter pad is located between the two buildings. The firehouse has an engine, two tankers, and a service unit.